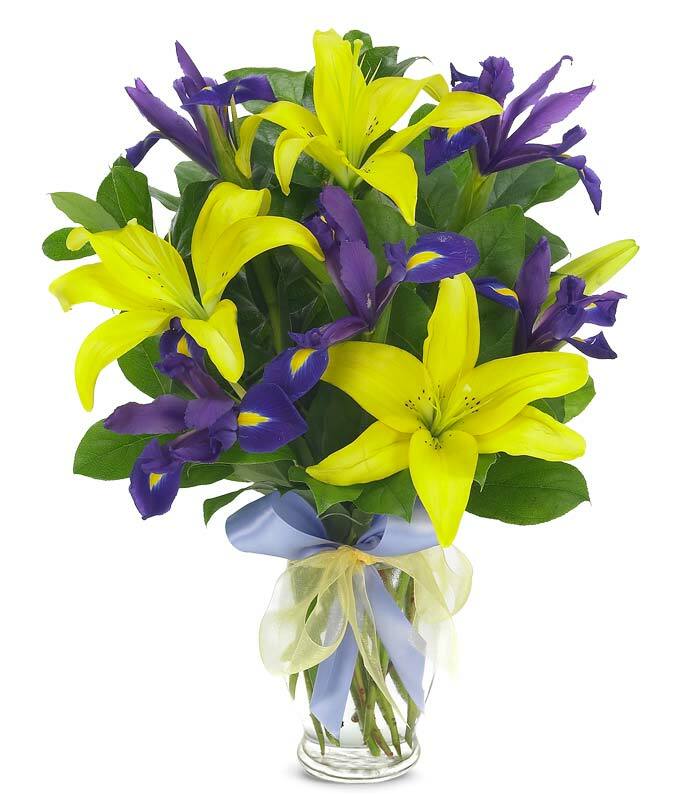 Open your eyes, take a peek and gaze in wonder at this revelation in floral mastery featuring iris and Asiatic lilies complemented by salal tips and yellow sheer accents in a clear fluted vase. Send this arrangement to your Mom or Grandma for Mother's Day. Measures 15"H by 10"L.